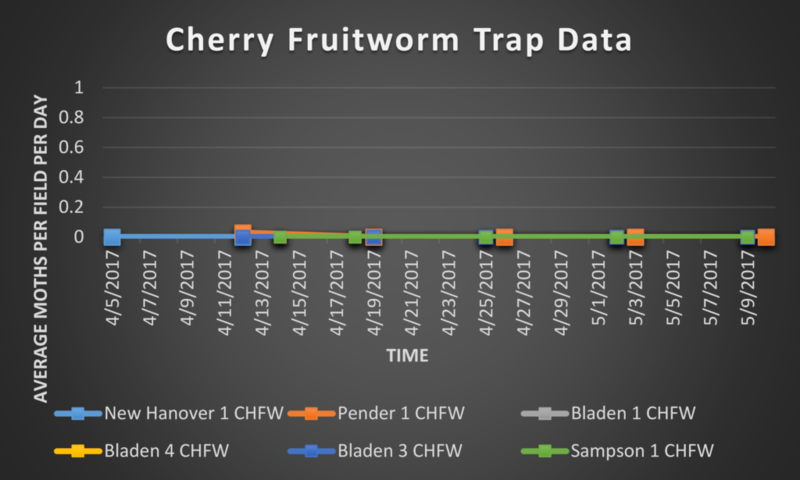 Trap captures this week were low for all four of the insects which we are monitoring. 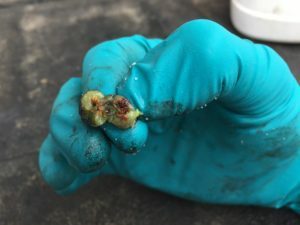 With the fruit at several sites, the risk of infestation must be carefully evaluated; particularly for spotted wing drosophila due to its potential impact during harvest. Cherry and cranberry fruitworm injury is clearly visible due to the large holes that are left in berries by their feeding. 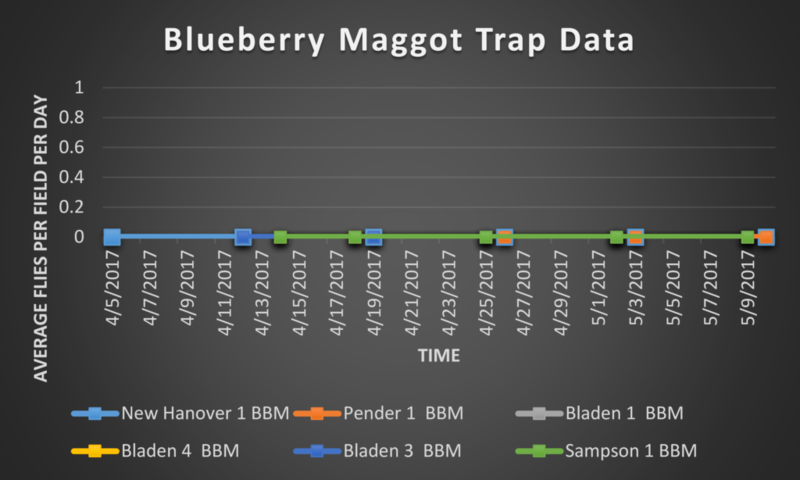 This allows damaged berries to be easily screened and removed during harvest, making them less of a problem for distribution. 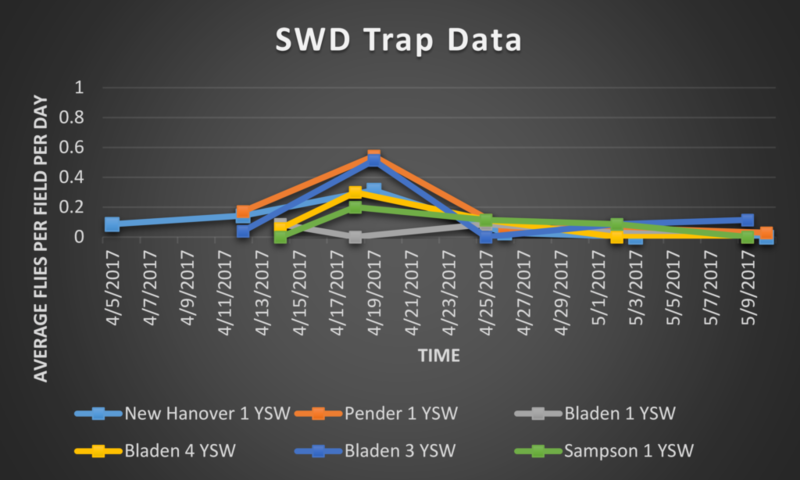 During this trapping period, 1 SWD was captured at New Hanover 1, 1 SWD was captured at Pender 1, 4 SWD were captured at Bladen 3, 0 SWD were captured at Bladen 1, 0 SWD were captured at Bladen 4, and 0 SWD were captured at Sampson 1. 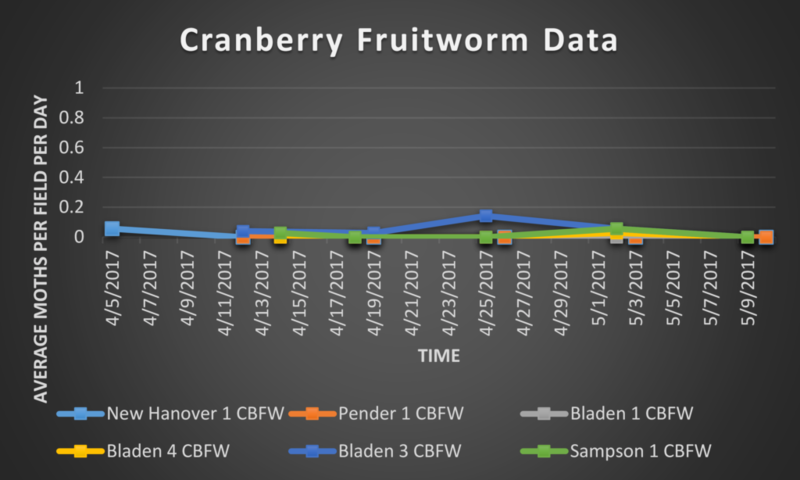 No cranberry fruitworm moths were captured during this trapping period.